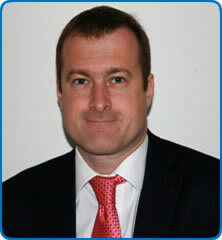 Dr Cottrell (MBChB, BSc (Hons), FRCP, PhD) runs both general Neurology and Multiple Sclerosis specialty clinics at North Bristol NHS Trust. He was the co-founder of the BrAMS charity at North Bristol NHS Trust. This charity has provided the resources to both expand the Multiple Sclerosis multidisciplinary team and provide the infrastructure necessary for Multiple Sclerosis OP care. Through the BrAMS unit, Dr Cottrell leads a clinical research team currently involved in six on-going MS clinical trials.